Winter is finally behind us and we’re headed toward the sweltering days of summer. While most wintertime beauty challenges such as chapped lips and hands, are fairly eases fixes, summer heat can put our patience to the test. Many of those wintertime beauty challenges are more of a preventative issue. So along the lines of preventative, it’s time to change up your beauty routine to fit inline with the heat. 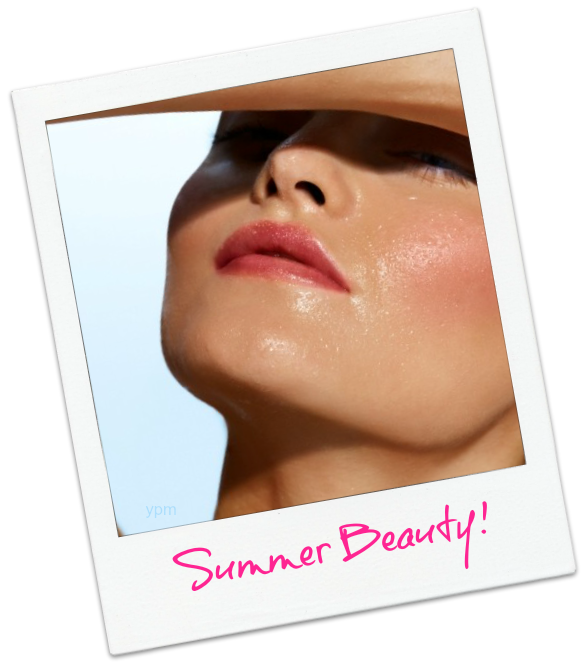 What are the most common summertime beauty issues? First and foremost is melting makeup, as in you put on your makeup in a nice cool household and proceed out the front door into sizzling heat … leading to makeup melt! From primers to BB creams to multi-purpose products, The Makeup Examiner has found seven must-have products for summer! Primer Perfect - The trick to staving off makeup melt is primer! Primer is also a must for older skin, anytime of the year. CoverGirl + Olay Simply Ageless Serum Makeup Primer at about $13 a bottle is a beauty bargain. BB Be Beautiful - Less is more no matter the occasion, but nothing rings more true during the summer. Revlon PhotoReady BB Cream ($8.99) is lightweight enough for the hotter temperatures, yet gives you enough coverage. Get Cheeky - For a gorgeous sun-kissed glow, try a lightweight cheek stain like Becca Cosmetics Beach Tint ($25). Its creamy and just a dab will give you all the color you need, plus you can use this product on your lips as well. Light Touch - Summertime is no time to get heavy-handed, so a light dusting of finishing powder like Lipsi Cosmetics Aphrodite Powder ($20), only on your T-Zone or oil-prone area, will keep you fresh-faced. Oil Away - Clean and Clear Oil Absorbing Sheets ($5.50-50 pack) are a must-have for midday touch-ups. Gently blot away the oil from your face and you’re back in beautiful! Through them in your clutch for a night out too! Revitalize Radiance - It may seem counterproductive to spritz anything onto your makeup, but skin elixirs like Caudalie's Beauty Elixir ($18) is actually a mist of toner and serum mist that is designed to provide an instant burst of radiance. For Your Eyes Only -Smudging eyeliner and streaking mascara are not attractive. Don’t let the name fool ya’, Skinn Smudge Sticks ($15) are the perfect waterproof pencil that can be used for both eyes and lips.